TOKYO (July 12, 2017 The Japan Times) -- Former outfielder Atsunori Inaba has surfaced as a candidate to manage the Japan national team through the 2020 Tokyo Olympics, sources said Tuesday. The pro and amateur executives who make up Samurai Japan's development committee hope to have a new skipper in place by the end of July. The next manager is expected to oversee the team through the 2021 World Baseball Classic and the Tokyo Games. 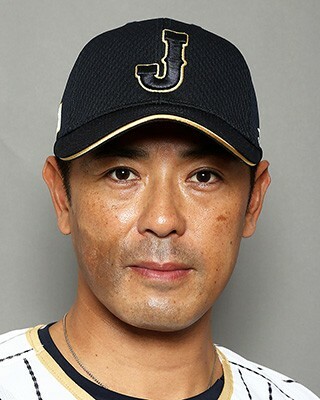 The 44-year-old Inaba served as the hitting coach under former Japan manager Hiroki Kokubo, and has held down that role with the Nippon Ham Fighters. If Inaba is selected, he would be the second straight national team skipper with no managing experience. Japan won the first two World Baseball Classics under active managers with Nippon Professional Baseball clubs. Selecting an active manager, however, proved problematic and NPB brought Koji Yamamoto out of retirement to serve in 2013. After failing to reach the final for the first time, the Samurai Japan leadership sought a long-term solution by hiring Kokubo, who had never coached or managed. In March, however, Japan was knocked out in the semifinals for the second straight WBC.